With the advent of advanced tools and latest methodologies, we offer efficient collection of Fractional Laser Machine. Our entire product range has highs canning speed and generates the reports within fractions of seconds. They ensure smooth and effective usage and are suitable for different types of eye-diseases. In order to meet the various requirements of the customers, we are engaged in offering a wide assortment of Laser Marking Machine. Features: Fiber marking machine is adopted international advanced technology and the working material is fiber. The diode coupling with fiber to process pump, the pump light will course the particles reverse which can emit high quality laser beam. 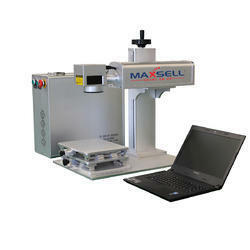 Matching up with the requirements of our clients, we are involved in offering Laser Marking Fixture. Low Power consumption increases efficiency. The objectiveof rhe development of EMI was high long-term VaiON stabilay and availability as well as outstanding properties concerning beam qualayand performance. kind hardware concept in combination with efficient software set new standards in industrial labeling. The objective of rhe development of EMI was high long-term VaiON stabilay and availability as well as outstanding properties concerning beam qualay and performance. Selected high-quolity componenh integrated into one-of -a- kind hardware concept in combination with efficient software set new standards in industrial labeling. 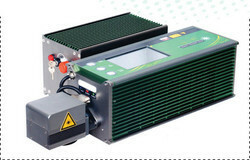 The X MARKE Laser Markers, available in different power levels as 10 W, 20 W and 30 W. The Laser deliver a high power beam directly to the marking surface via flexible cable than be capable of marking characters, digital bar codes, barcode , logos in the surface of most metals such as Stainless Steel, Brass, Aluminum, Steel , Iron etc., and also nonmetals such as PVC, Nylon etc.